Home » Company » Outsourcing your Podiatry Billing is a Good Idea! Outsourcing your Podiatry Billing is a Good Idea! Efficient medical billing can improve your bottom line to keep you going. Most practices benefit from outsourcing medical billing to a professional billing service by saving money spent on hiring and training staff, overhead costs, reducing errors and saving time spent on managing all this in-house. Here are 5 huge advantages of outsourcing podiatry practice billing. A podiatry private practice can greatly benefit from a billing service due to their updated knowledge of specialty-specific medical billing codes and procedures which can optimize claims processing and bring faster payments. 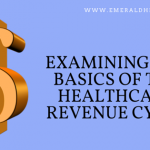 To learn more about the services offered by the best podiatry and radiology billing company, call Emerald Health LLC at 855-650-9906 Today. 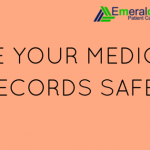 Emerald Health allows you to pay attention to patient care while they maximize revenue for you!